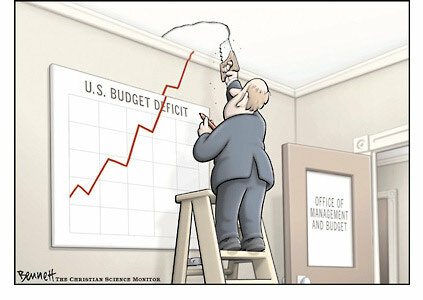 The US deficit increased by a half-trillion dollars in the first five months of the 2019 fiscal year. The gap exploded as tax revenues held steady and federal spending increased. Specifically, the government ran a $544 billion deficit from October through February, the Treasury Department said Friday, compared with $391 billion during the same period a year earlier. Federal outlays rose 9%, to $1.8 trillion, while revenues declined less than 1%, to $1.28 trillion. Part of the increase in the deficit was attributable to a shift in the timing of certain payments, which made the deficit appear larger. If not for those timing shifts, the deficit would have risen 25% from the same period in fiscal year 2018. On a 12-month basis, revenues declined 0.7% and outlays rose 5%. For the 12 months ended February, the deficit totaled $932.2 billion, or 4.5% as a share of gross domestic product, the highest since May 2013.